Don't worry you are not alone. Most people feel nervous about seeking help for the first time. They wonder what it will be like to tell people their thoughts and feelings and they wonder how other people may view them seeking help. We can discuss any fears you have about seeking help as well as your hopes and goals for therapy. By the end of the first session, people generally feel more comfortable, know what to expect, and recognise the benefits of attending. If you decide not to contact someone at this stage then I hope you will take a look at my links/blog page for further information. This also includes where to seek help in emergency/crisis. Cognitive Behavioural Therapy (CBT) is a type of therapy which looks at how your thoughts impact upon your feelings and behaviours. We will look at the ways in which your thinking may affect your mood, and how some of the ways you cope could maintain your low mood, as well as thinking about what you already do that is helpful. In addition, we will also think about what additional strategies you could use to help. Cognitive Analytic Therapy (CAT) involves looking at the way we think, feel, and behave, and the interaction of this with our relationships and interactions with others. We will look at the patterns which may be difficult, consider how they have developed, and how these can be managed. 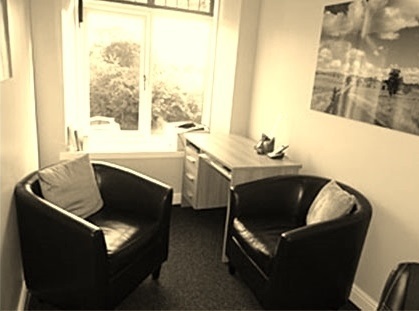 Compassion Focused Therapy (CFT) aims to promote psychological wellbeing by encouraging people to be compassionate and kind to themselves and others. This is particularly helpful as often we are critical of ourselves and this can impact negatively on self-esteem and mood. We will work together to consider any areas in which you may be overly self-critical and recognise ways to increase self-compassion. You may already know what type of therapy you would like or you may just know that you need to talk to someone. We can decide together what is most helpful for you as well as the amount of sessions that may be helpful. Often therapy will use a combination of the above approaches to help to talk about your difficulties and how to move forward. A key part of all therapy involves realising that you are not alone, and that many of our emotions, thoughts, and behaviours are normal responses to difficult circumstances which over time become unhelpful to us and start to cause us problems. I hope that together we can find a way to help you to understand and overcome these difficulties.